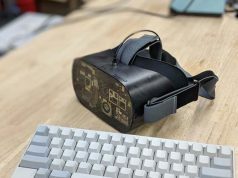 Following this week’s news that AltspaceVR, one of the first social VR platforms, is shutting down, Oculus founder Palmer Luckey, who is no longer with the company, queried the community to ask if he should seek to save AtlspaceVR from closing. 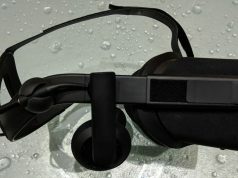 AltspaceVR was one of the first (now among many) social VR platforms. The app brought people together into shared virtual spaces to talk, play, and share. The platform was host to a range of mini-games like disc golf and sketch off, branded games like Dungeons & Dragons and Boss Monster, and was built for the community to host virtual events. This week the company announced it would be shutting down on August 3rd after it ran out of venture capital and was unable to secure the next round of funding. 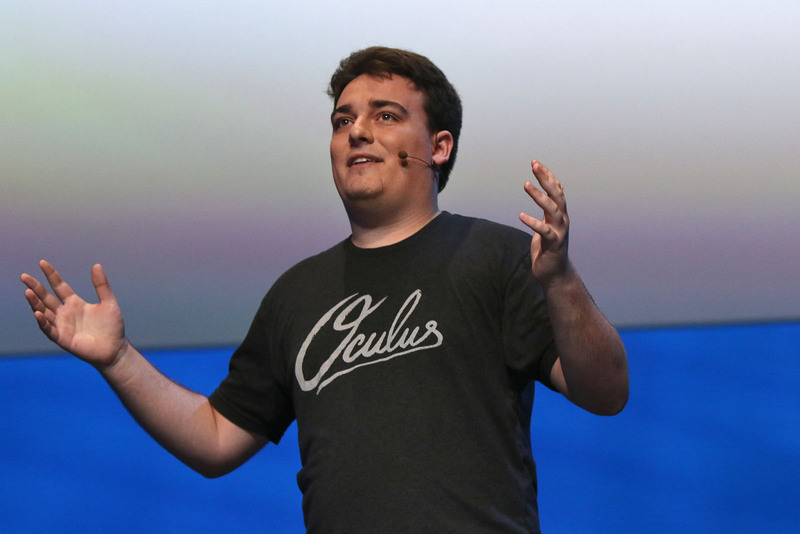 Posting the same message on Facebook and Twitter, Oculus founder Palmer Luckey is apparently seeking opinions on whether or not he should save AltspaceVR from shutting down. Luckey’s tweet included a Yes/No poll which at the time of writing stands at 62% Yes, and 38% No, with six days remaining. Luckey adds, “caveat: may not be possible,” likely implying that the logistics of saving the company might be more complicated than a simple cash infusion. AltspaceVR co-founder “Cymatic” Bruce Wooden responded to Luckey’s tweet asking him to get in touch if he’d like to talk. Luckey was the founder of Oculus when the company sold to Facebook for $2 billion in cash and stock. Since the acquisition, Facebook’s stock (which made up the bulk of the value in the transaction) has more than doubled. 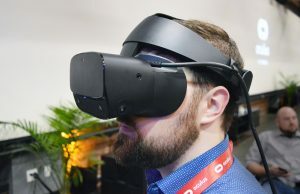 Forbes estimates Luckey’s net worth at $730 million, though it isn’t clear if Luckey’s consideration of ‘saving’ the company would mean him bankrolling AltspaceVR himself. 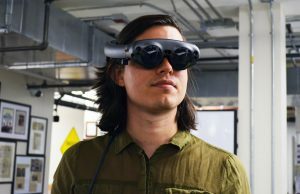 Luckey’s offer is especially interesting given that his former employer, Facebook (now the owner of Oculus) is making moves in the social VR scene. 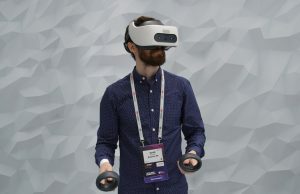 The company launched Facebook Spaces earlier this year, a place for small groups of Facebook friends to hang out in VR, share pictures and videos, and communicate with friends outside of VR through Facebook Messenger video calls. 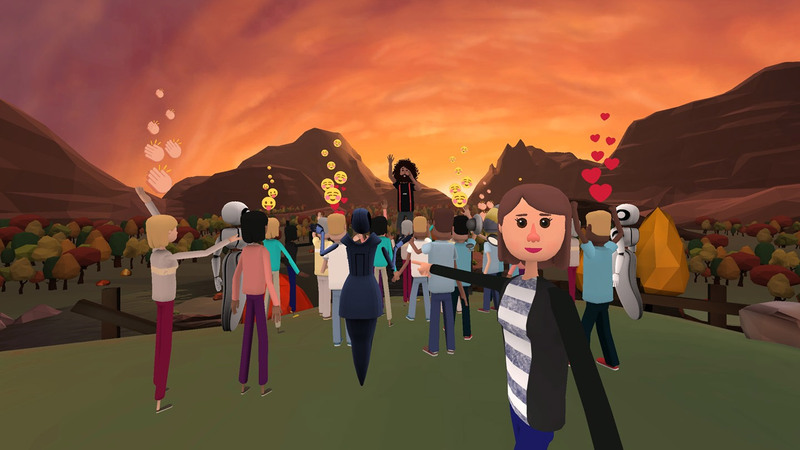 Facebook Spaces, and other competition in the social VR sector, likely chilled the feet of investors who might have otherwise funded AltspaceVR’s next round of venture capital. Luckey’s interest in saving AltspaceVR wouldn’t be the first time he’s done something seemingly against the company he founded. 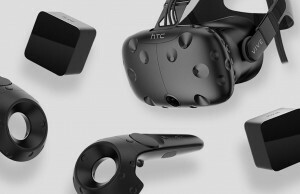 Last month he offered $2,000 per month in financial backing for Revive, a hack which allows Vive users to play Oculus games. 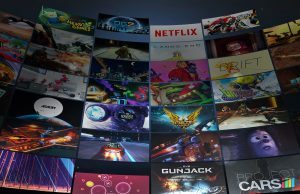 In 2016 Oculus had made changes to their DRM policy which effectively blocked Revive, but reversed the decision after community outcry, and has since tolerated the hack. 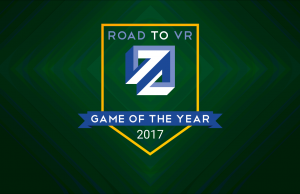 He wants to rise up from the ashes and make a name for himself once more but this time in the VR social networking scene. Why make a negative comment like this? 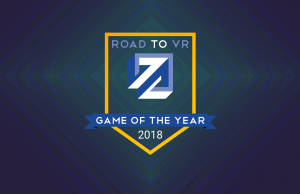 The guy has done far more for VR than anyone who posts comments in these forums, and he has an interest in it across the board for all it’s uses. Geeze, some people… do you really think he will “make his name” from saving AltspacveVR? He already has a name, saving that would do little to change whatever most people think of his past. I hear what you are saying for sure, but if he “saves” altspaceVR, and it ends up the main social VR platform- he could be end up the man who killed fb. The person who does that will be a household name, so yes, he could possibly make his name that way. 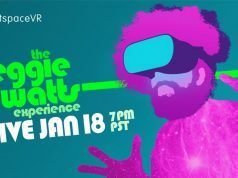 I think it is more likely fb will crush them with money, or altspaceVR will end up selling out to facebook, but I would love to see him give it a try! I say good for you Palmer, and the community vote is a nice touch! 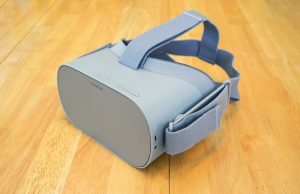 Interesting thought, but if you think AltspaceVR could ever crush FB even in the space of social VR you are very optimistic IMNSHO… I think it would be cool to see him support AltspaceVR, OTOH, I’m not sure learning from it’s mistakes and moving forward with something better would be a better idea in the long run. Well, knowing it is possible for another company to overtake fb in the VR social space is not optimistic- it is just a statement of fact. Hoping someone does so is stating the obvious. Thinking it will happen in the case of AltspaceVR, yes that would be optimistic for sure. I don’t think that, and don’t love everything about altspaceVR to begin with, but I do enjoy that they exist, and that people like minded to myself might congregate in such a place. My understanding is that Palmer is something of a libertarian minded fellow, and probably doesn’t think too highly of how fb operates(I like to imagine the look on his face when fb decided to go with camera based tracking- must have been hillarious), so he might actually be a great partner for altspaceVR. I agree it is all a bit hopeful, but what a great story it could be! Don’t count on AltspaceVR killing FB, FB will have it’s own answer already having billions of users which will propably stay with FB instead of having to pay for using AVR. I’m not counting on it by any means, quite the opposite. However given how hated fb is, and how poor the service fb provides is in some ways, there is a massive opportunity. It will come down to someone being in the right place at the right time- like perhaps in VR, and early for example… fb cannot hope to win the space via current users or name brand alone. Well, if FB was really hated that much, billions of people would not be using it daily.. I think people love fb because its their content(besides the targeted ads anyway). They make it easy to share our content because everyone is there, but what we really like is other people, our friends and families. I just think it could be done better, and in the context of the coming metaverse I think it is a very important topic of consideration. How are we going to go about sharing this new space, and who should control it? Worth careful consideration don’t you think? *Edit2: Rift owner currently developing for Rift btw. Didn’t even have to say your name 3 times, I see. You can expect I will defend against irrational arguments, of which there are many. If you read ALL my posts you will see I also defend Vive/HTC, Lighthouse tracking, etc. and the dynamics of both the “walled garden” and “open” alternatives. 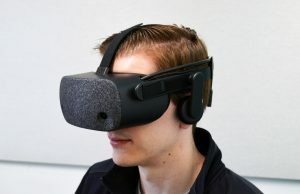 If you can point out a real problem with Palmer supporting anything in support of AltspaceVR or VR in general, please do so I’d love to hear it. Despite Schwifty’s invariable obsession with Palmer (by constantly swinging off his pudendum like a pendulum), I quite like the imagery, “anti-hero rises from the ashes to defy all odds”. Albeit, I see this as more of an attempt to clamber back up the mountain, in order to remain relevant – and it seems to be working. I have no obsession with Palmer in the least (and certainly not Facebook), but I think the guy doesn’t get a fair shake for all he has tried to do. Do I defend his right to speak his mind and support his political views? Sure. Do I think he mishandled himself out of youthful inexperience and also hit a point in a corporate world where he made some poor (even borderline unethical) choices and got in over his head? Sure. But to then make a snap judgement that he (or anyone) is suspect every time they do something positive is ridiculous, especially acting as if he has to work to make amends to suit some self-serving political ideology. If nothing else, consistently he himself has always at least publicly supported an open and thriving VR philosophy, that was in turn suppressed by Facebook. Now, out from under it, he is trying to be involved as a leader with a substantial amount of financial clout to aid that community and all (some) people can do is take the most negative spin. Again, very sad. Facebook is not *evil*, selfish maybe (like most companies), disrespectful of privacy rights in some cases, yes, but let’s keep things in perspective. If I am critical of anyone, and believe they seriously f*cked up it was John Carmack. He is no stranger to the world of intellectual property and knew full well what the risks of his actions were and arrogantly made clear decisions. OTOH, this is the world of technology, one can never fully divest oneself from the understanding and experiences of developing technology. However, running off with with obviously proprietary information on a laptop or device and then openly using it… that was plainly wrong and I think a calculated play. And you don’t think he’s looking to the future and sees this just as an investment which might make him extra money if it does make money. If he really has $730 million than he’s wise to invest it (as he’s got more than enough to even play with). If he is such a Time Magazine cover genius he should know what to do. When games (this is a game after all) fail, they generally don’t come back, when they try to they just fail again. Bringing back this experiment won’t make a success of it regardless of how good or bad it was, I never tried it so I can’t really give much of an opinion. If you want to get into the games industry you should take the idea and build something new out of it. If you are a true game dev, or truly innovative, then you will think of a something good I’m sure. 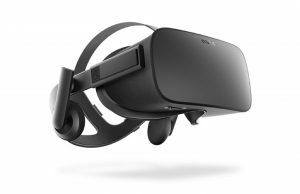 Given where VR is at, it stands to reason that investing in an established platform just prior to VR taking off may not be such a bad deal. 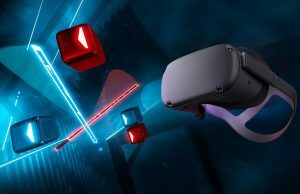 Altspace did not fail because it did not hit the target, it failed as investors were not ready for the 4-5 years to see VR take off. If the VR market had more active HMDs, I suspect it would be a very different situation. 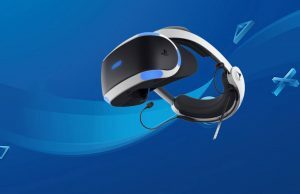 Well, as a lot of headsets are on the verge of being released, but this company not being able to keep it’s head up at this moment, it might just survive for the bigger rush of VR users when it receives an injection at this moment. 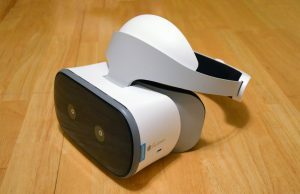 I’ve been surprised how effective Altspace VR is on Daydream View, after using it on Vive. Shame to see it go…but mid afternoon yesterday only 6 users around the campfire. You call Altspace a “game”, but it’s not. It’s as much a game as Skype is a “game”. Its first and foremost a place for people to meet, to communicate, to attend events, live DJs, education, fun hanging out etc. I can’t help but think you have never been in altspace..OH WAIT…here we go, you even said it. If anyone can revive Altspace its him! I would definitely vote yes if i had a twitter account! 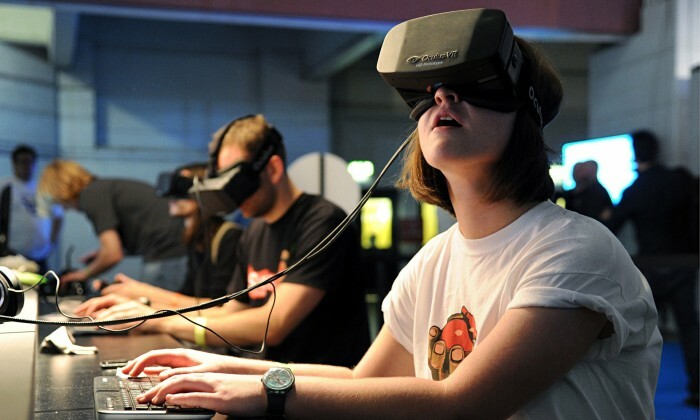 He will make an enormous social VR himself and they will buy facebook to conquer Oculus again! Jokes apart, my heart would say “yes, save it!” while my brain suggests that if VC haven’t poured money into Altspace is because business model doesn’t seem profitable. So if Palmer finds a way to make it profitable, it has sense… otherwise it is not. My gut tells me Palmer probably doesn’t have enough money– or at least not enough riskable, disposal money. 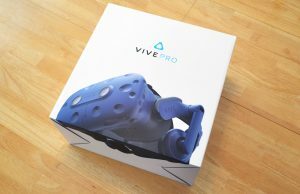 I liked Altspace when I first got my Vive, unfortunately, after the first week I hardly ever went back. Cards Against Humanity only goes so far, Never seemed very intuitive as to how to find things to do in there. Was always annoyed that the avatars were too stylized and simplistic. I’d love to see someone revive it and make it a bit more compelling. I’d settle for something like Wade’s nerd cave from Ready Player One. A bunch of themed hangouts that feel a bit more cozy than what Altspace was offering. 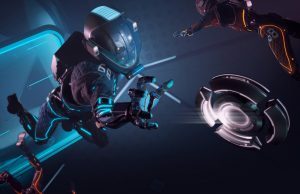 I really liked Altspace but was not without it issues.But was one of the best starting vr spaces. I really think it is sad to close now though as VR is so new its like building a house and giving up before the roof is on cause it is not providing shelter. But it takes money to keep the lights on sad that investors expected this so soon I think their exceptions were unrealistic or they wanted a write off. That said I don’t know he should save it there are so many options in this space and I don’t think there model was the endgame. I know these guys are great though and I imagine greatness will come from their work regardless. 2) Anything Palmer ‘alt-right, Trump-loving’ Luckey gets involved with will generate interest for a day or two. The articles will remind readers that Palmer backed Trump and that Palmer donated $100,000 to Trump’s inauguration. facebook spaces is lame AF.